Go ahead and laugh. Laugh yourselves silly. Hahaha. What do I care? We all did. How I remember tears streaming down our young cheeks, holding our sides because howling with glee for so long made our bellies hurt. Just hearing the tale of our grandmother inadvertently brushing her teeth with a dab of pale blue Head & Shoulders because it was in a toothpaste-shaped tube. Our unbridled hilarity about materfamilias misfortune. (Because she wasn’t the Fun Grandmother, she was the Other Grandmother.) Imagine, she washed her own mouth out with soap! We kids were thrilled. So, like I said, go ahead and laugh at me. Is it my fault if French cosmetics come in deceptively-shaped packages? Is it my fault that I don’t always wear my reading glasses in the bathroom because I’m trying to remove mascara? Have you guessed which one is not like the other? It’s the bottle of skin lotion in the middle. 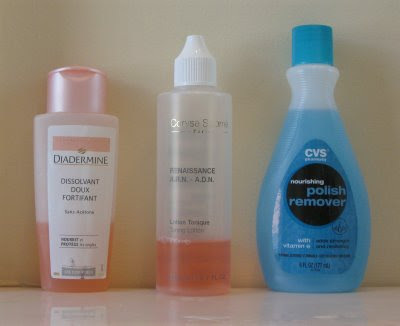 The other two are nail-polish remover. Should Marseille try to mimic Hollywood? 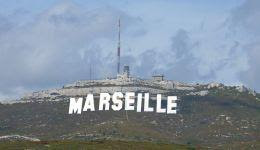 The city of Marseille is all a-twist over the proposed project of artist Christophe Fort to spell out M-A-R-S-E-I-L-L-E à la Hollywood on the Pic de l'Etoile, a mountaintop north of the port city. His idea: have a donor sponsor each of the letters to raise money for cancer research. Here's what it looks like today, sans the Tinseltown addition. It is gross understatement to say that the citizenry is divided over the issue. This is Marcel Pagnol country, after all. Of course, there is already a TV tower on the top. Sometimes, when I'm really jonesing for Paris, it's lingering moments like this that I miss the most. Relaxing over a Coca-Light at Le Nemrod. Only an ice cube or two in the glass. Always a wedge of lemon, and a tall spoon. 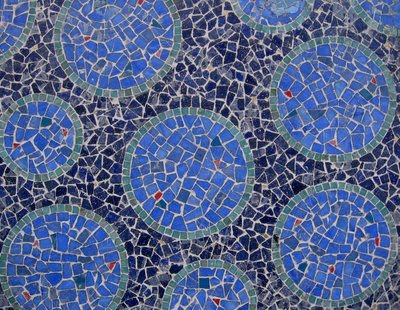 Paris outdoors delights with its patterns. 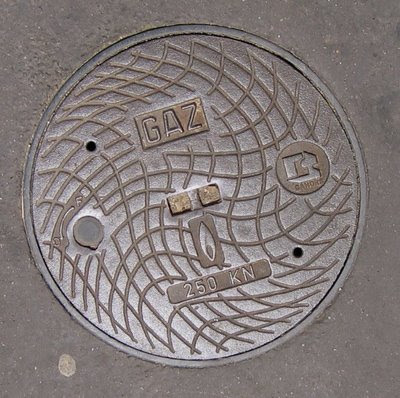 From threads in a bin at the Marche aux puces at Vanves to manhole covers to building decoration in the 14th arrondissement. J'adore! 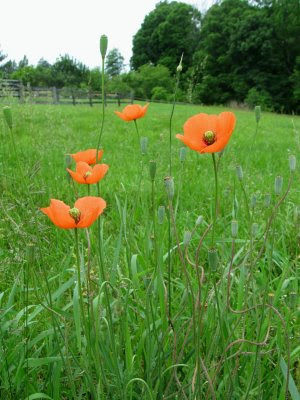 "The French will never forget"
Memorial Day poppies blooming in my field this morning. Question: what do you get when you cross a francophile, an American patriot, and a sappy sentimentalist? Answer: Polly-Vous Français, for one. And there were many others. Last week, on the occasion of Lafayette Day, four WWII Veterans were awarded the French Legion d'Honneur for their service and bravery in France, mostly in 1944. The ceremony at the State House in Boston included school children singing "La Marseillaise" and "The Star-Spangled Banner." The Presentation of the Colors by the Ancient and Honorable Artillery. Young students eagerly waving their hands to ask the Marquis de Lafayette [actor] questions about his life. Presenting the medals to the honorees, French Consul General François Gauthier remarked, "The French will never forget" the courage and help of the Americans. If there were dry eyes in the house as the citations were announced, they were few. Almost every speaker ended his talk with a solemn, heartfelt "Vive la France and God Bless America!" 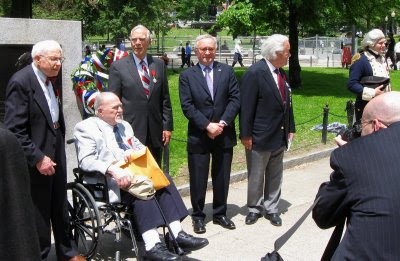 Legion d'honneur recipients flank Consul General François Gauthier. Lafayette, portrayed by Loic Barnieu, on the right. Trust me, I'm not a knee-jerk, rah-rah, flag-waving-in-your-face kind of patriot. (And I was a terrible history student.) But for one thing, the honorees were all about the same age that my late father and step-father would have been. Both served in WWII. At lunch after the Legion d'Honneur ceremony, I sought out each of the honorees to express my appreciation. I shook their hands and said, "Thank you for...." Unable to finish, I had to swallow hard and just utter a second, faltering "Thank you." 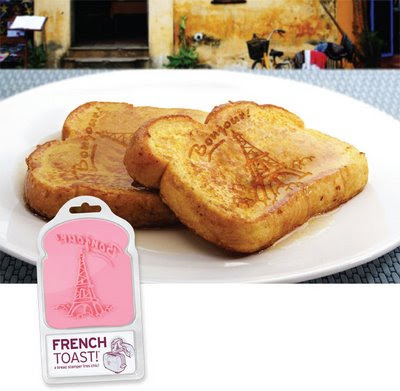 What’s not to love about this playful “French Toast” stamp from Fred & Friends? 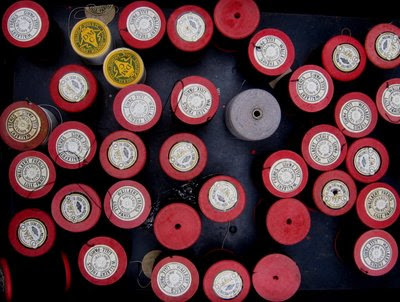 But just as I love Pylones in Paris, the wacky fun of Fred’s products is perfect for joie de vivre, American-style. This would be great not only for toast or French toast, but also for grilled cheese and all those Elvis Specials that my son so dearly loves. Gotta get me one. Un grand merci to Harriet for the info! At a fabulous antiques sale/flea market today, I found not only a bolt of delectable brocade for an outstanding bargain, but also a collection of books. The sign over the collection read “Fine Literature",” and I realized upon examining the titles that the store owner had my kinda warped humor. I skipped lunch and bought the books. So here are a few steamy titles to add to your summer beach bag reading list, now that the season is upon us. All date from the 1930s and 40s and were previously owned by a woman named Myrtle. You catch the drift. Enjoy! The subtitle for “Impatient Virgin” is You’ll Have to Admit She’s Good Company! Les routiers sont sympa = "Truck drivers are nice." A thought which has crossed my mind, yea and nay, in the fast lane of the 3500 miles I've chalked up on U.S. interstates in the past 10 days as I ricocheted from one ceremony to another, from South Carolina to Massachusetts to Virginia. I'm so tired I can hardly type! But it made me think of this bumper sticker, which was a familiar sight on French autoroutes in the 70s and 80s; and the slogan was adopted in a French cartoon TV show featuring the classic character Titeuf. 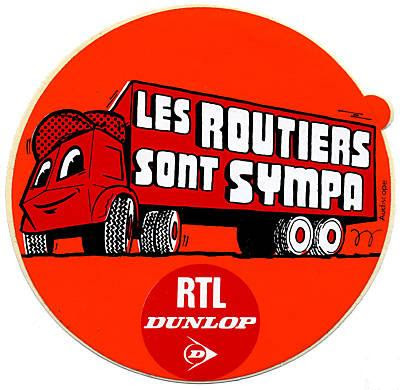 But is it les routiers sont sympa or sympas in the plural? May 2006. I'd been in Paris for two months, writing up almost daily accounts of funny/exciting/extraordinary happenings, and emailing the stories to my friends and family. At dinner one evening my friend Ariane said politely, "You ought to write a blog." "Oh, gawd, I wouldn't know how to start a blog if it hit me over the head," was my brilliant technologically-challenged answer. I was handy enough with a computer, a master at googling, for example; but for cripe's sake, I still didn't know how to work my digital camera. "Well, if you did have a blog, what would you name it?" sly girl asked. "Polly-Vous Francais, of course," I answered without missing a beat. It had been my lifelong mantra. The next morning I had an email from Ariane. "Dinner was fun. Oh, and Polly-Vous Francais is up and running. Here's your password. Start posting." Thus it began. Here's the first post. And here's to many more! And thank you to all you lovely readers -- you are so much more than just little red dots in the map. Last but not least, in honor of President Obama's preference for dijon mustard, here's my tale of being a lifelong mustard aficionado. "Looking back, I think this culinary discovery weighed heavily in my becoming such an ardent Francophile. Any country that truly understood and adored mustard the way I did simply had to have a permanent and central place in my life." Hmm. Maybe he should consider me for that ambassador position. Oh, brother. Do we not even know how to pronounce the word café in this country? Apparently McDo doesn’t think so. Check out the latest McDonald's ad touting the new McCafé . Pronunciation lessons? Lame attempts at Frenchifying ordinary workaday words is bad enough (commu-tay, cubi-clay?) Trying to make it seem “French” to be sipping a whipped-cream-topped iced mocha on the way to work is… a stretch. But must McDonald's really massacre the poor, unsuspecting, much-misunderstood accent aigu? This house was simply too remarkable not to share. 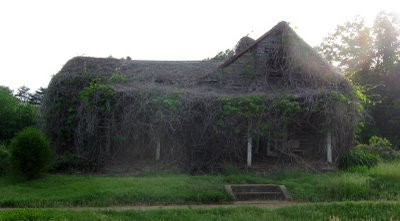 I passed it in Chatham, Virginia, as I was on the home stretch of a long road trip. And it got me philosophizing as I wove my way down the ribbon of highway. 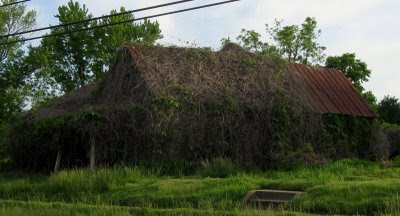 Kudzu: it's kind of like aging, or bills, or any of life's inexorable trials or tasks. 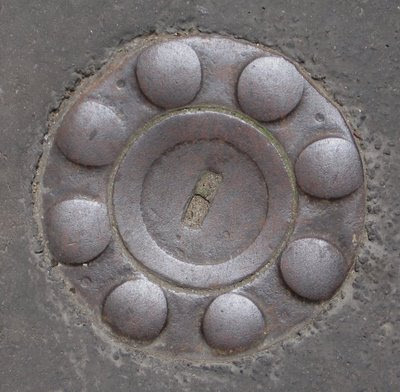 Once you stop paying attention to the details, you're in deep doo-doo. There certainly must be a tale to tell about this place. 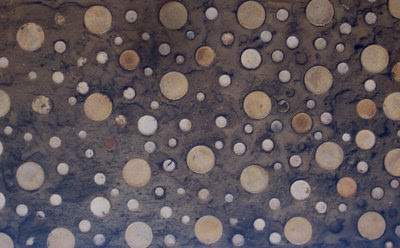 I'd love to know what it is. But I can't imagine that the owners ever expected that their once-lovely cottage would end up looking like a cross between the cottage of Blanche Neige and the castle of La Belle au Bois Dormant. This is where it all began, in a way. June 1973, flight from New York to Paris. My first trip to France. I’ve saved this menu ever since. The drawing is No. 4 extrait de la serie “Croquis de Voyages” by Florent Margaritis. Not to be passéiste, but how wistful to think of the days when even flying in coach on Air France, passengers were fed well and given a menu (in French and English) of the in-flight meal. Cloth napkins, real glasses and cutlery. Wine included with the meal, of course. “Barquette of Shrimps à la Parisienne . Although I don’t have its menu, I also remember the August return flight vividly. I had spent two months living with a family in France. One of my favorite dishes that summer had been cervelle. Although I had no idea what it was, I always consumed it with gusto. So tender! So delish! It looked kind of like cauliflower, but the taste was delicate and exquisite. I never asked. On the sad departing flight from France, my newly-found home, the Air France stewardess distributed the menus. Main course, as listed on the French left-hand side of the menu: cervelle d’agneau. “Oh, goody, cervelle, one last time!” I rejoiced. Then I looked at the English translation on the right-hand side of the menu. Ulp. I’d been eating that all summer? It was at that precise moment that I decided never to judge a culinary book by its cover. To enjoy and savor what appeals and delights, and not to worry about one’s culturally preconceived notions about food. I’d still eat cervelle again, though I don’t think I have. But it opened my eyes. I’m sure other folks have similar culinary-surprise tales to tell. I’d love to hear them. And then some time I’ll tell you about the saucisson-lookalike that we foisted on my daughter in Paris. Society at a Glance, a fascinating report just released by the OECD, reveals some fun information. Not only do the French sleep longer than citizens of other countries, but they spend more time eating, too. Over two hours a day, almost twice as much time a table as their American counterparts. And then, with fewer waking hours remaining, they still get those 38 days of vacation.